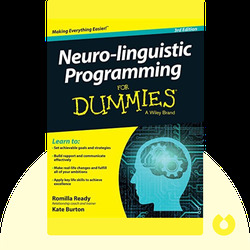 Neuro-linguistic Programming for Dummies (2015) is an introduction to the basic principles behind NLP. If you’ve ever struggled to say what’s on your mind, NLP may be of use to you. Discover the human traits that can keep us from understanding each other and the helpful methods that can lead to clear and effective communication. Romilla Ready is the director of Ready Solutions, Ltd. and a passionate speaker and trainer who is committed to helping people forge better relationships. She strives to help people become more resilient and impactful in both their personal and professional lives. Kate Burton is an expert coach of neuro-linguistic programming. Her popular workshops have helped people around the world lead better and more productive lives. 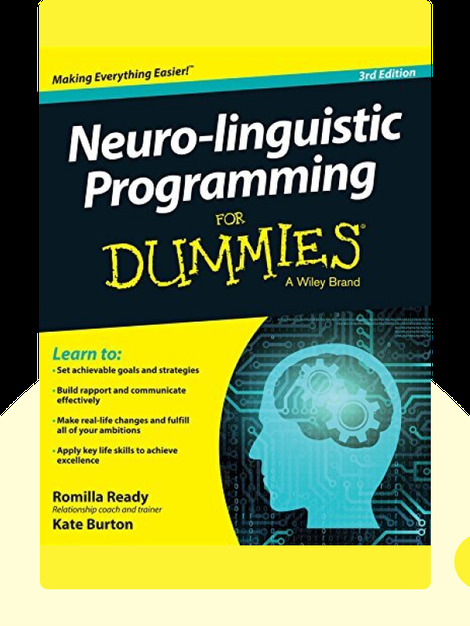 © Romilla Ready, Kate Burton: Neuro-linguistic Programming for Dummies copyright 2004, John Wiley & Sons Inc. Used by permission of John Wiley & Sons Inc. and shall not be made available to any unauthorized third parties.